I LOVE working with pregnant ladies. (Funnily enough I haven’t had any pregnant men to work with!) Even though in the later stages they feel cumbersome and tired, their energy is usually soft, expectant and joyful. I use very light pressure on the legs generally as the increased volume of blood during pregnancy can cause blood clots and heavy pressure can dislodge these. I don’t massage the tummy at any time during pregnancy. I’m very cautious in the first trimester and will only give a relaxing back and neck massage. By the middle of the second trimester and throughout the third I give a side-lying massage with pillows propping up the belly where necessary and of course in between the legs. A massage can help to relieve the aches and pains associated with carrying a baby and also helps to relieve stress and anxiety. I usually spend the last five to ten minutes of the massage doing some Reiki which helps to balance the energy and relieve anxiety. Remember – this may be the last time a woman has time to spend on herself for quite a while, unless of course they are super confident and able to leave their bub with daddy for an hour or so. Post natal massage is a very important treatment for new mums, helping them feel nurtured and cared for while they are adjusting to the new life they are leading. It can also help to reduce the stress associated with new motherhood and post-natal blues. And of course I reckon every new mother has earned a massage as a reward for the amazing job they have done growing a new life inside them. IVF is something I’ve not had a lot to do with. Ever. I’ve been very lucky, falling pregnant and carrying my babies to full term without any major complications. 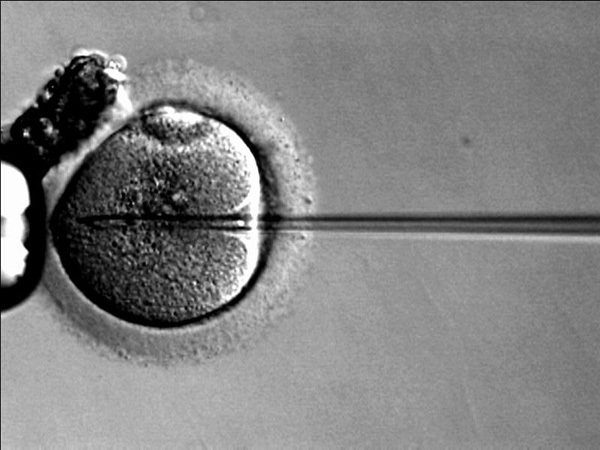 I cannot imagine the roller coaster ride that is IVF and haven’t considered it too deeply before now. I had a call last week from B, who has been on multiple rounds of IVF in the last year with a couple successful implants and two miscarriages. How do you cope with that? In B’s case, with calm determination and lots and lots of research into anything and everything, anything at all that may help. Now I know, as does any lymphatic drainage therapist, that lymphatic drainage has a direct effect on the hormones. I had a real learning curve last week though. B’s pregnancy hormone level was at 8, two months after her last miscarriage and D & C and it needs to be zero before the next round of IVF can start. She called me at about 6 pm on Tuesday and her blood test to check her levels was scheduled for Monday (that’s today by the way) and her research had pointed out that lymphatic drainage would be helpful to reduce her pregnancy hormone levels. I have not heard such a direct claim before but I was certainly willing to try and see what happened. We had a treatment on Thursday. After the treatment B was totally relaxed but asked if she could do some exercise, even though she was so zoned out she didn’t really feel like it. I advised against anything more strenuous than a gentle walk and sent her off with instructions to drink lots of water and expect lots of trips to the bathroom. On Saturday she came in for her follow up and reported that when she got home she made some dinner and sat down to relax but found that the nodes in her neck had blown up and she had a really bad sore throat that kept her awake that night. And she went to the bathroom about twenty times between the time of treatment and the next morning! In the morning her throat was much better and after some light yoga she felt fighting fit again. On Friday she had her regular appointment with her acupuncturist who reported that her chi was the highest he’d ever seen it! B asked whether she should continue with lymphatic drainage if the implantation was successful – while there are contraindications about deep abdominal lymphatic work during pregnancy, MLD is usually considered safe during pregnancy. However, because of B’s high risk of miscarriage I advised against it, certainly during the first trimester. We can revisit the idea later and I’d probably insist on clearance from her medical team before I did any. Just to be on the safe side I said I wouldn’t massage even while she waited to see if this round was successful. B has promised to let me know how the tests went – haven’t heard yet, can’t wait. If her levels are still detectable and they are unable to do this round of IVF then she will come back for a few more sessions before the next round. Watch this space! This post is about one of my absolute favourite clients. I feel like a bad mother, favouring one child over another, I do enjoy spending time with all of my clients (I can honestly say that) but this one in particular is very special. J had a mastectomy ten years ago. No reconstruction. She’s in her early 70s and I can say without a doubt she lives life! She is a regular at the opera, ballet, talks, art galleries and last year even went on an art study tour across Canada. She and her husband regularly go on holiday with their children and grandchildren, usually somewhere that has sun, sand and surf. J is an avid body surfer and joins in with all ages in all activities. Alternatively, they go on holidays with people their own age, down to their cottage in the bush and there they do bush walking and climbing. This woman has more energy than I do. Then there’s all her charity work. She’s involved with a Multiple Sclerosis foundation, actively organising events and support group meetings. She and her husband sit down each year and look at a list of research projects that are looking for funding and read through each one to find a couple that resonate with them that they donate to. Then there’s the Flying Doctors. And the Australian Indigenous Education Foundation (http://www.aief.com.au). They donate to these charities, but are clearly involved more deeply as they are asked to attend functions held to thank patrons on a regular basis. And these are just the things I know about. There must be many more. J is in great health. She comes to see me once a month for a maintenance lymphatic drainage, she has had some minor swelling around her scar and through to her back, but certainly not what can be classified as lymphoedema. Until the day she got bitten by a tick on the back of her hand on the same side as the mastectomy. This is one of the things to look out for when you’ve had breast and lymph node surgery – insect bites can trigger swelling. As can sunburn, scratches from thorns, needle sticks while sewing, a burn from the oven and numerous other seemingly innocuous activities. The trick is to live your life regardless and be aware of what to look for and what to do in case you trigger a sudden lymphatic issue. She instantly found her entire arm swelling, in particular the top of her hand. There were visits to the doctor, antibiotics and a couple treatments with me, but things were not improving quickly enough. In a case like this, what I do is refer on for intensive treatment with bandaging, laser, taping, exercise and compression garments. I don’t have the facilities to do this. It involves daily treatment during the week for between four to six weeks – a major commitment in time and energy. But the results are fantastic and after that time, J was able to see me again, initially weekly then spacing out the treatments back to the original monthly visits. 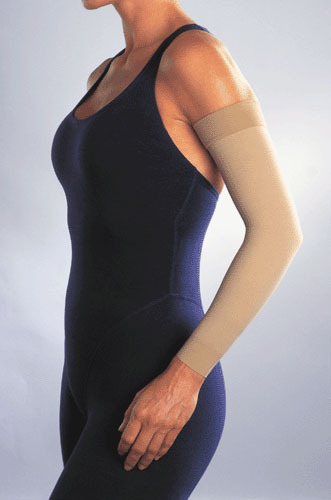 She is now totally back under control and wearing her compression sleeve during the daytime. She’s been on at least three active holidays since then, it really hasn’t slowed her down at all. Throughout all of this exhausting process I don’t think I ever heard her complain, not once. There was nothing but chatter about all the exciting things in her life and how lucky she is to be able to experience all of these. J – you are my champion, a woman of grace and compassion for others. A woman to aspire to. Intensive decongestive therapy is offered at two hospitals on the North Shore of Sydney: The Sydney Adventist Hospital, http://www.sah.org.au/outpatient-services; and Mt Wilga Private Hospital, http://www.mtwilgaprivate.com.au/News/news-rehabilitation.aspx. I’ve found a wonderful Facebook page which has a lot of information on lymphedema, http://www.facebook.com/pages/Lymphoedema-NZ-Share-the-Experience-Share-the-Journey/228856740548231. Check it out to find research articles, blogs, videos and much more. As if to prove yet again that she is my favourite client, J surprised me today. We’ve been talking about my upcoming course and about a laser machine I’d like to buy to work on fibrotic areas of lymphatic conditions and at the end of her treatment today she came out and paid, made her next appointment and without batting an eyelid handed me a cheque towards either of my big expenses coming up! What can I say? I’m still speechless. Occasionally I come across a woman who goes “whoa, let me off this crazy roller coaster, I ain’t doing it no more!”. The “it” I’m referring to is the conventional treatment for breast cancer – it goes something like this … diagnosis – shock – horror – tears – fear – anger – why me – surgery – chemo – radio – hormones for five years – sometimes followed by … what now – am I ok – fear – regular screening and hopefully eventually, the new normal. Every diagnosis, every treatment and every recovery is different, it’s all so individual and the timeline for all this varies widely for every woman. For some the chemo comes first, then surgery, then radiation, then hormones (but I suspect all the emotional aspects are there whatever treatment path is followed). Then there’s the amount of surgery … lumpectomy, mastectomy, double mastectomy, reconstruction, no reconstruction, type of reconstruction. Then of course there’s the lymph node removal. All of this is exhausting both physically and mentally. And it can be a time of finding out who your real friends are (sometimes that can be really surprising, people you don’t expect step up for you and some fall away). This is the type of journey I see most in my clinic. But there are a minority of others who either decide part way through or right from the start that the route of conventional treatment is not for them. What they find themselves doing is fighting one battle with cancer and fighting another battle with the medicos. I have two ladies walking this path at the moment, one who went the chemo path against her better judgement and decided to stop treatment and the other who chose from the start to do things more naturally. Let me point out here that both of these ladies have seen the oncologists and surgeons and various other health providers, they are not doing it on their own and it is vital that if you make this decision that you continue to be medically supervised. J had a lumpectomy followed by lymph node dissection, so all her nodes were taken from her armpit. No cancer was found in any of the nodes which was a blessing. Since the surgery she has had fluid collecting in the breast tissue and arm and she wears a compression sleeve and has regular lymphatic drainage with me. Right from the start she didn’t want the chemo/radiation/hormone therapy that was being suggested for her. But she decided to start with the chemo and see how she went, setting the intention that it would feel like a hangover. And it did, most of the time. She started meditating, setting goals, eating better and surrounding herself with a support team to get her through the ordeal of chemo. But she found herself getting more and more upset and feeling powerless. After consulting with two holistic doctors and undergoing tests she decided to stop the chemo and focus on getting herself stronger. She has also decided not to have the radio or hormones. Her attitude is that “she had cancer, she is now cancer free”. All cancerous tissue was removed from her body, she had a clear margin and her nodes were clear. She continues to see her oncologist and has regular follow up tests, but is feeling much more in control of her wellness. H was a different story. When I first met her she had a lump in one breast but had declined to have it biopsied, choosing to modify her diet and lifestyle. I saw her only once and was concerned because while I understand not wanting to jump on the roller coaster of conventional cancer treatment, I felt it was vital for her to have a biopsy. I didn’t hear from her for three and a half months. I was a little nervous when she came in to see me again and asked cautiously what was going on in her body and to my relief she replied that she had had the lump biopsied. Unfortunately it was cancer. They suggested a lumpectomy but she chose to have a mastectomy so as to get a very clear margin, thus reducing the need for further treatment. She underwent a reconstruction at the time of surgery. She also had an axillary clearance and one node was found to be cancerous. Her recovery from surgery has been free from complications, no swelling, great movement. She is sticking to her guns and not having chemo/radio/hormones. But again, she’s doing it under the supervision of a medical team and complementary therapists. She will continue to have regular tests and follow up appointments. She also takes the approach that she “had cancer and is now cancer free”. For both women one of the most important things was getting their support team together – people who would monitor them, advise and treat them as they need. But ALWAYS under medical supervision. The main point of this post is that you have choices in your journey through cancer. For most it is comforting to know there is a system in place to manage treatment medically, it’s a positive thing to know first I’ll do this, then this, then this. It’s ok to go with the flow and to be managed. Some women feel they are not doing ‘as well’ as they cannot find it in themselves to make the choices, do the investigating. They want to be told what to do. This has been proven to work. For a few, it is important to realise that you can make the choice to do it differently, but it must be done in consultation with your medical team.